The Wye Marsh is hosting an exhibit from The Canadian Canoe Museum in April. Details to follow (tx, sh). Originally they were “De Danann”. But in 1985, they changed from “De Danann” [1n, 2n’s] to “De Dannan” [2n’s, 1n] for reasons that have never been made clear. Making things murkier, since 2010 there have been two groups–De Danann and De Dannan. The Midland Cultural Centre website says “DeDanann” (Irish supergroup)–Wed, 9 Mar, 8-10pm. Either way, whoever shows up, wear green! North Simcoe Sports and Recreation Centre, Wed, 9 Mar, 7-9pm. Opening remarks by Gord McKay, Mayor of Midland. Pre-registration required. #85. Wes Montgomery (1923-1968), Bumpin’ (On Sunset). The spirit of John Lennon (1940-1980) lives on. last week i played the original by bob marley (1945-1981). this week, playing for change’s version, featuring marley’s son stephen (1963). enjoying this bach stream–right now listening to the gigue. JS Bach (1685-1750) arr. Busoni (1866-1924), Chaconne in D minor. Emily Remler (1957-1990), Tenor Madness. Basia Bulat (1984)–live, Good Advice. Paul Desmond (1924-1977) And Jim Hall (1930-2013), The Night Has A Thousand Eyes. ‘Animals cannot speak, but can you and I not speak for them and represent them? 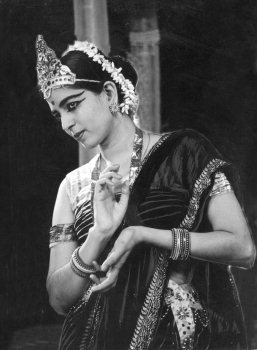 Let us all feel their silent cry of agony and let us all help that cry to be heard in the world.’ —Rukmini Devi Arundale, dancer and choreographer (1904-1986). watched jimmy’s food price hike (corn/eggs/coffee) and ate a special cupcake in support of the local spca, baked by grounded coffee. watched The Rick Mercer Report, 22 Minutes, and Rise Of The Continents (Africa). reading about yellowstone. it snowed–a lot–the month is going out with a roar. Berthe Morisot (French, 1841–1895, self-portrait) ‘was described by Gustave Geffroy in 1894 as one of “les trois grandes dames” of Impressionism alongside Marie Bracquemond [1840-1916] and Mary Cassatt [1844-1926].’ She married Edouard Manet’s (1832-1883) brother, fellow painter Eugène (1833-1892–below, looking out the window). reading about svg animation. susan braved the late winter weather and went to a mcg meeting. wes moved to the same building where he was born. watched the agenda (surviving the shark(<==really good), special education, and artificial intelligence). watched a park for all seasons (yoho and mingin). susan went to toronto. worked on art. watched seeds of time until karen came over and brought ice cream. we shared, then shared some more. bruce brought coffee and a fresh scone from grounded coffee and a book–the re-enchantment of the world–about deep ecology. susan back.